Based out of Provo, Utah, Action Target has partnered with industry leading professionals to provide some of the most realistic law enforcement training available. This year’s Law Enforcement Training Camp (LETC) is just days away, running September 11-15, 2017. Amazingly, this 4-day course is offered for only $750.00, which is a steal considering the depth and level of training received. The first day is dedicated to check-in, and a BBQ. The firearms and survival training offered by Action Target’s LETC are specifically designed to take law enforcement and military firearms training to the next level. Where many ranges and classes fall short due to restrictions or budget, the LETC courses pick up and charge forward. The realities of a shooting situation in modern society is the presence of real obstacles – cars, buildings, innocent people, etc. In addition, lethal threat targets rarely stay stationary in a gunfight, so the ability to identify, engage, and maintain situational awareness during a high stress shooting in public are key elements identified and instructed throughout the LETC. 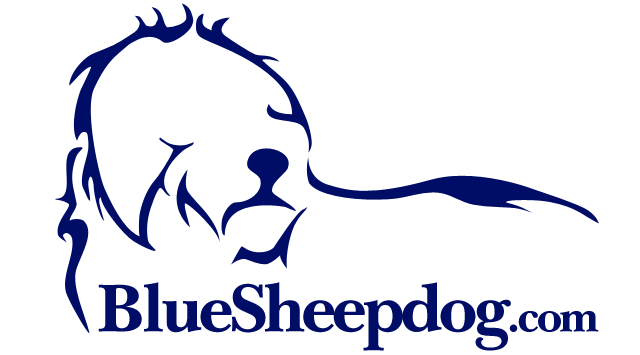 The following paragraphs will highlight the 2017 LETC courses and instructors to give readers a taste of what they might expect if they are lucky enough to attend a LETC event. 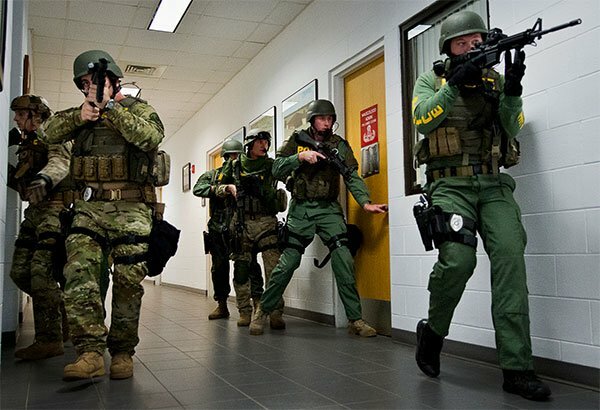 We’ll give our own insights and considerations on how these courses can enhance your training and better prepare your officers or soldiers for surviving a deadly force encounter. In Performing Under Pressure you’ll shoot a lot of bullets while tackling your own natural stress response. Ron Avery of Tactical Performance Center leads a class on maintaining peak performance when under the heightened pressure (stress) of deadly force encounters. His training course is designed to induce stress and pressure to the shooters, so they can learn to combat their body’s natural Sympathetic Nervous System reaction to a threat (fight of flight or freeze), and work through complicated problems to a successful outcome. Avery is the director of Tactical Performance Center, and has been a professional trainer and martial artist for years, and combines the martial arts, tactical, and competitive disciplines into his training courses. He brings 13 years of law enforcement experience as both a police officer and deputy sheriff, where he was a lead instructor for firearms, hand-to hand combative skills, arrest control, and officer survival. His courses and experience have led him to achieve international recognition. The Performing Under Pressure course will condition officers for reactive shooting skills under pressure, by honing their mental and physical control of their body. This day of training will explore concepts and exercises where consequences and rewards are attached to performance. At the end of the training shooters can participate in a performance measurement against a world level standard to see where they measure. Firing accurate rounds in a very short amount of time is critical to winning a deadly force encounter. Some students don’t like courses where there is physical exercise or other punishments associated to poor performance. I have been to some courses that definitely took this too far, and ended up ruining any good training because of the constant negative feedback. However, I do like the reinforcement of bad techniques or shooting with physical exertion. Let’s face it, if we can’t hack it on the range what do you really think you will do on the streets? Better to sweat in training, than bleed on the streets. We will not rise to the occasion, but fall back to the level of our training! Course Equipment: Duty pistol, holster, belt, magazine pouches, (3) magazines, 1000 rounds of ammo, wrap around eye protection, brimmed hat, and hearing protection. With 1000 rounds of shooting make sure to bring your cleaning supplies as well! Students shoot in, around, and through vehicles in the LE Bullets & Vehicles course (photo by Action Target). 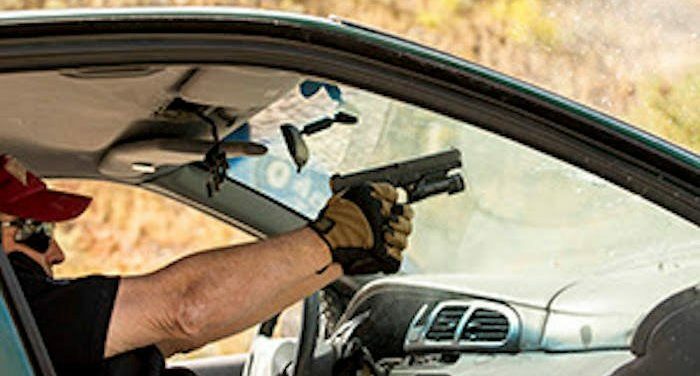 Jonathan Carlson of Sig Sauer Academy officers the dynamics of shooting from inside a vehicle, from a moving vehicle, and through windshield glass. Very few officers have the opportunity to truly shoot glass and to see the highly complex and unpredictable nature of this shooting. Shooting glass is something every police officer should experience at least once in their careers, unfortunately the vast majority will never get close. This course will examine the good, the bad, and the ugly of shooting through glass from the inside and outside of vehicles. In addition, Carlson will take students through the best practices of using a vehicle for defensive cover. By now we should all know that doors are not cover – bullets will go right through. The only real hard cover on a vehicle is the engine block and axles. Carlson shows officers how to shoot through vehicles (using the vehicle as cover), under vehicles, and around vehicles maximizing the available cover. How shots are effected by shooting through windshields is very beneficial (photo by Action Target). Carlson has over 12 years of military and law enforcement experience. In the military he was assigned to the 5th Special Forces Group (Airborne) where he learned some of the best firearms and survival practices the military has to offer. In police work Carlson received certifications in firearms, use of force, defensive tactics, active shooter, and first responder. Course Equipment: Duty holster rig and magazine pouches, duty pistol, (3) magazines, 300 pistol rounds, 200 rifle rounds, footwear suitable for rapid movements and turns, wrap-around eye protection, hearing protection, brimmed hat. 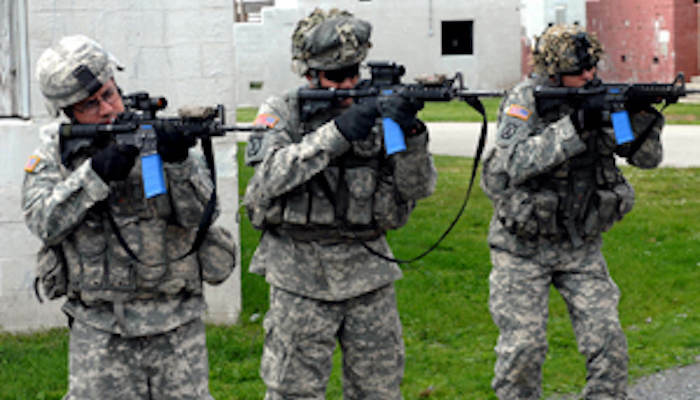 Here U.S. Army soldiers conduct force-on-force training with UTM products (photo by UTM). Dr. Wess Doss of Khyber Training is in charge of the LETC force-on-force training program. With over 30 years of military and civilian criminal justice experience, Dr. Doss brings a wealth of knowledge in the area of human performance under stress. He holds certifications from the NRA LEAD, U.S. Army, U.S. Marines, Smith & Wesson, Sig Sauer Academy, FEMA, and the Department of State. In this training cycle officers will be exposed to “live-fire” exercises with an opposing force also armed and capable of inflicting pain. Officers will be taught the best practices for room entries, working angles (cutting the pie), and engaging armed subjects in a variety of real-life scenarios. Students have to master psychological, physical, and situational skill sets to properly engage shoot and no-shoot live targets. Any modern firearms program has incorporated the concepts of force-on-force into a regular training program. You can learn all the fundamentals of firearms shooting, execute them to near perfection on the range, and still not be ready for a deadly force encounter. The force-on-force concept places officers in as realistic a circumstance as possible, with the consequence of pain should you fail to perform. In force-on-force officers are confronted with shoot and no-shoot situations with live actors. There cannot be a true evaluation of an officer’s skills in a shooting scenario unless they’ve experienced a force-on-force training scenario. Mastering the stress of knowing someone is out there with a Simunition, UTM, Force-on-Force, or other training firearm waiting to put painful rounds on you, is a critical skill for surviving deadly force encounters. This course will cover all the necessary safety protocols and relevant training simulations necessary for officers to develop a program at their home agency. A focus on close quarters techniques, and alternate/unconventional shooting positions will be used to show officers how to properly move through structures and solve realistic problems. Course Equipment: Duty belt (including holster, magazine pouches), handheld flashlight and/or weapon-mounted flashlight, wrap-around eye protection, hearing protection. Recommended items include – soft body armor, gloves, long sleeve shirts, elbow and knee pads. Simunition pistols and ammunition will be provided. Mastering lowlight shooting requires hours of practice and experimentation. For students desiring to expand and enhance their skills working and fighting in darkness, Dr. Doss offers the force-on-force diminished light workshop. This 2-hour course is based upon Khyber Training company’s 3-day low-light instructor course. In 2-hours students will receive a crash course on search and shooting techniques when the darkness comes. 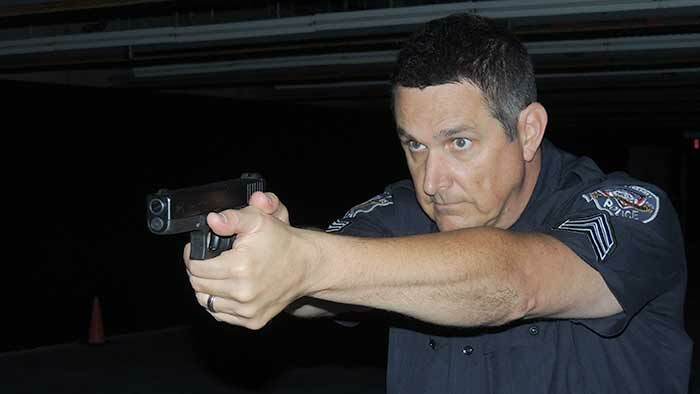 Instruction will focus on pistol and flashlight use combined with the same force-on-force techniques covered in his reality-based training. 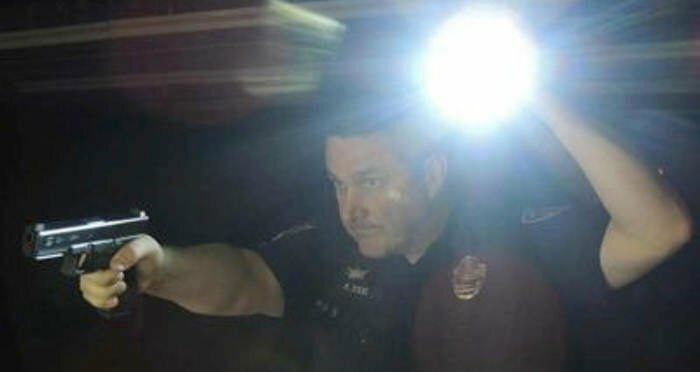 In this course, students will learn different techniques of holding and using their flashlight, whether it is a handheld light or weapon-mounted light. Understanding the principles of light, how and when to use light, are critical skills for survival in low-light situations. Range operation considerations, ambidextrous weapon and light manipulation, 2-officer maneuvers, dedicated and non-dedicated light considerations, and time-space considerations will all be covered in this course. In addition, rifle/shotgun techniques will be discussed. Course Equipment: Duty pistol, duty belt with holster and magazine pouches, wrap-around eye protection, hearing protection, long sleeves, elbow/knee pads, soft body armor, and a minimum of 250 rounds of pistol ammunition. 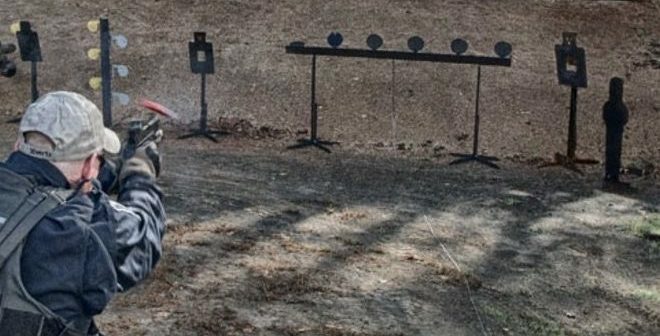 Shooting steel has tremendous firearms training benefits (photo by Action Target). Finally, the course will build upon the mastery of the draw and shoot techniques needed for fast and accurate shooting, by moving on to multiple magazine changes during a course of fire. The ability to keep your firearm in the fight is a critical skill, and this is highly dependent upon keeping track of shot counts and being able to exchange magazines quickly. The Reactive Shooting course is taught by Todd Haller, and active duty 22-year veteran Patrol Sergeant with the Snowmass Village P.D. He is the training director for the regional multi-agency law enforcement firearms/use-of-force/arrest control/and driving training program. He is the lead POST firearms instructor for the Colorado Law Enforcement Training Academy (CLETA), and has taught courses for Executive Security International, Safariland Shooting School, and LETC. Course Equipment: Duty pistol, duty belt with holster and magazine pouches, (3) pistol magazines, wrap-around eye protection, hearing protection, brimmed hat, and 800 rounds of ammunition. This course will not allow concealed draws, and frangible ammo is preferred but not required. Using a variety of target types can greatly enhance your firearms program photo by Team One Network). In this course, students will be taught the advantages of various targeting systems for enhancing their firearms programs at home. The idea is to create building blocks for students to hone their skills and then move on to more realistic targeting systems. The course will use paper targets, 3-D targets, AutoTargets with Hit Sync, range props, steel targets, reactive targets, turning and swinging targets, and finally moving targets. 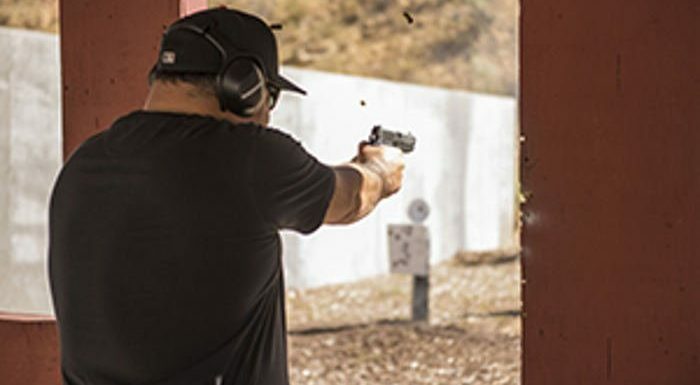 Any shooter who has not experienced a moving target during firearms training is woefully unprepared for the realities of a real-life deadly force encounter. Unfortunately, most ranges (and some instructors) stick to static ranges for ease of set-up and perhaps “safety” issues. The failure to include moving and reactive targets limits the reality of firearms training to the point of simple target practicing. A deadly threat is not going to just sit there while we are shooting at them, and we should not be standing still either. The difficulties of hitting a moving target in appropriate targeting areas can be very challenging at even simple walking speeds. Neil Honkala of Team One Network is the instructor, and brings a vast amount of knowledge from his 26-year law enforcement career. During his career Honkala has been a SWAT team member, sniper and team leader for a south Florida agency. He also holds instructor certifications in pistol, shotgun, sub-gun, and carbine, as well as several tactical disciplines. Course Equipment: Duty pistol, duty belt with holster and magazine pouches, (3) magazines, wrap-around eye protection, hearing protection, brimmed hat, and 500 rounds of pistol ammunition. Author shooting an AR-15 with 1-4×24 scope. The patrol rifle really enhances longer range accuracy. This course is taught by Steve Horsman of Springfield Armory. Emphasis will be on getting the rifle into action faster, and then more accurately stopping the threat. There will be an emphasis on use of barricades, multiple shooting positions, and proper use of cover while engaging targets. Horsman brings 27 years of law enforcement experience from the Tempe, AZ Police Department, including 10 years as a SWAT sniper. He has been a firearms instructor for over 20 years, and trains competitively in USPSA/IDPA/NRA. Course Materials: Semi-auto patrol rifle, 500 rounds of rifle ammunition (no steel core or green tip), (3) magazines, magazine pouches, wrap-around eye protection, hearing protection, brimmed hat, and recommended elbow/knee pads. Shooting and moving are vital skills to master (photo by U.S. Air Force, Samuel King, Jr.). As we mentioned before, the BlueSheepdog Crew are big advocates of firearms training that incorporates moving and displacing. Once the first shots ring out it becomes easy to get tunnel-vision and locked into place. However, if our shots are not absolute in the initial barrage our position is now known, and can be a death trap is we remain stationary. Learning to move, or at least displace (change positions) is a critical skill to add to any firearms program designed for law enforcement officers. The Shoot and Move class is taught by Kyle Schmidt of the Tempe, AZ Police Department. Schmidt’s course is designed to move beyond philosophical discussions about shooting, to successful results on the target. Schmidt is a veteran 18-year law enforcement officer, and he combines his firearms instruction experience with his competitive shooting experiences as well. Kyle is not just a competitor, but has earned several National and World Champion titles along his path. For those not familiar with the competitive shooting world, almost every course of fire involves shooting and moving, along with multiple magazine changes. Though shooting competitions can be viewed as games, the skills required to succeed and win (in Kyle’s case) are exactly the skills needed in deadly force encounters on the streets. Course Equipment: Duty pistol, duty rig with holster and magazine pouches, (3) magazines, hearing protection, wrap-around eye protectionn, brimmed hat, 750 rounds of pistol ammunition. 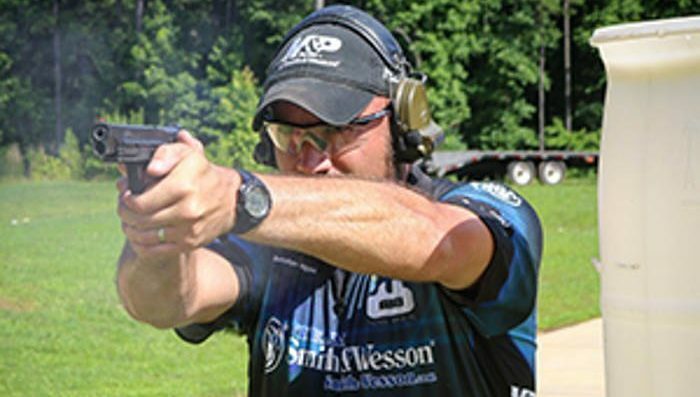 Brandon Wright of Team Smith Wesson leads the Advanced Pistol Clinic (photo by Action Target). Brandon Wright is a professional shooter with U.S. Navy SEAL, it was made abundantly clear that you must master the fundamentals before trying to move on to “high speed, low drag” stuff. Brandon’s approach is to use mastery of the fundamentals to reduce the gap between speed and accuracy. His shooting techniques will provide real-world results as the shooters fine tune the mechanics of shooting. Wright has over 10 years of law enforcement experience on the local and State Police level, as well as being a master firearms instructor teaching other instructors. Course Materials: Duty pistol, duty rig with holster and magazine pouches, (3) magazines, 700 rounds of pistol ammunition, wrap-around eye protection, hearing protection, and brimmed hat. The BlueSheepdog Crew takes recommendations very seriously, and we typically reserve our approval for gear, firearms, and training we have personally run through the range. Though we have not attended the Action Target Law Enforcement Training Camp, we do know Action Target is a squared-away company with outstanding products. The instructor cadre for the LETC is top-notch, and the training facilities go above and beyond as well. With all the goodness offered by the LETC we have no problems endorsing this law enforcement firearms training course. The price of the course is icing on the cake. At only $750.00 students are getting an excellent week of outstanding firearms training at the price of what one of these courses would cost on their own.